I’m always on the lookout for fresh color palette inspiration, for work, our various home interior projects or even just lazily scrolling my feed, dodging mosquitos in our atrium after a long day. I suppose Instagram analytics would tell us everyone throws their likes at blush pink dominant, rainbow bright posts, and so many accounts are starting to look alike as they try to woo one hashtag or another (guilty). So when I came across artist Sophie Klerk’s Instagram, her work’s subtle authenticity captured me immediately. 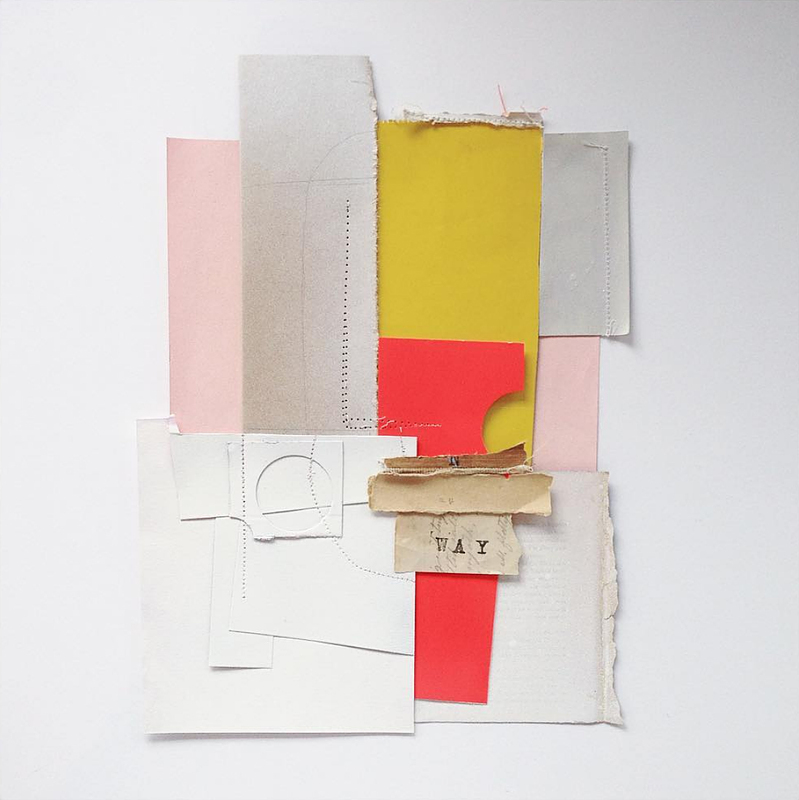 Her process-rich collages are layered, tactile and easy to get lost in, but most I love her use of color: layers and layers of creams, ecru, and white, or clean pops of citron or poppy in a nest of pale grey. I feel so honored to have a chance to share Sophie’s interview with you on her art, living all over the world, and her inspiring take on social media marketing.